“Don’t be so sure with your first impressions of people,”my mother would tell me. I find first impressions crucial especially at a job interview or a casting call. But apart from those, first impressions aren’t always accurate. 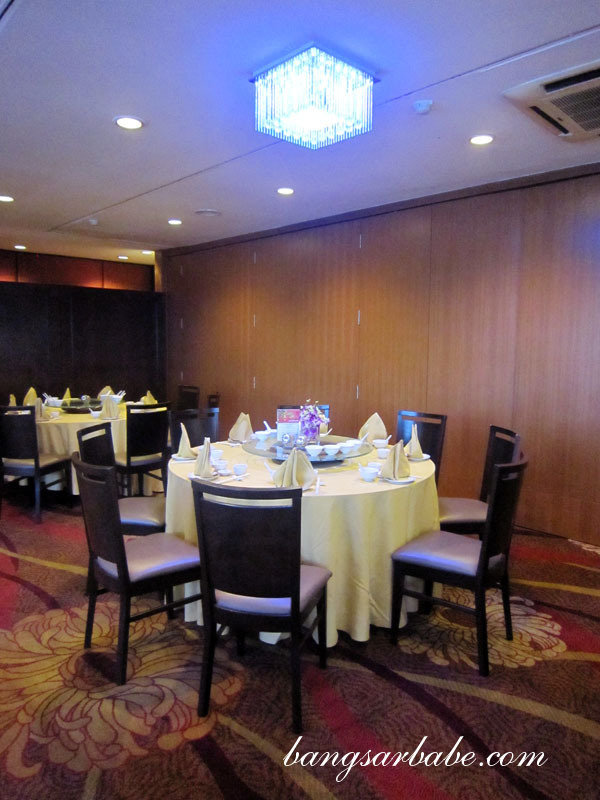 One of the restaurants that proved me wrong was Phoenix Chinese Restaurant at Holiday Inn Glenmarie Kuala Lumpur. I never knew Holiday Inn had a Chinese restaurant and expected the food to be like any other halal Chinese food at hotels. My appetizer which comprised a Sea Cucumber, Roast Duck, Mushroom and Bean Curd Roll (RM6++ per person) and Dried Oyster Banana and Turkey Ham Fritters (RM6 ++ per person) was unique and delicious. I never heard of such a thing as oyster banana, until I Googled it. The roast duck gave the bean curd roll a fuller bite but I would have preferred the thigh portion instead of the breast. The oyster banana had a caramelized exterior and imparted a sweet flavour to the ham. 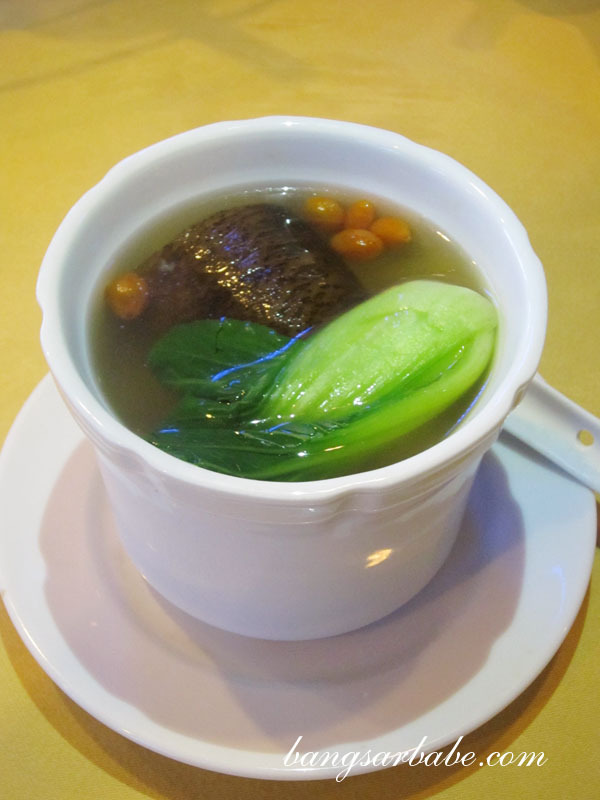 For soup, I had the Clear Four Treasure Herbal Soup (RM8 ++ per person). 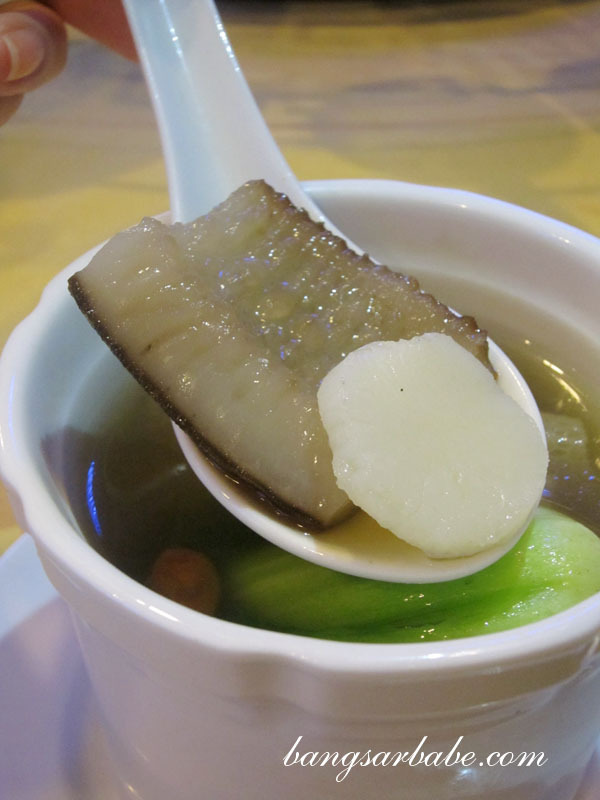 I dug into my bowl and found a large scallop, sea cucumber, bok choy and fish maw. The soup was light yet flavourful from the herbs and for that price, it was pretty good value for money. Quaker Oats Coated Fried Chicken with Spicy Plum Sauce (RM8 ++per person) was a hit between rif and I; we fought for the last piece and I won. 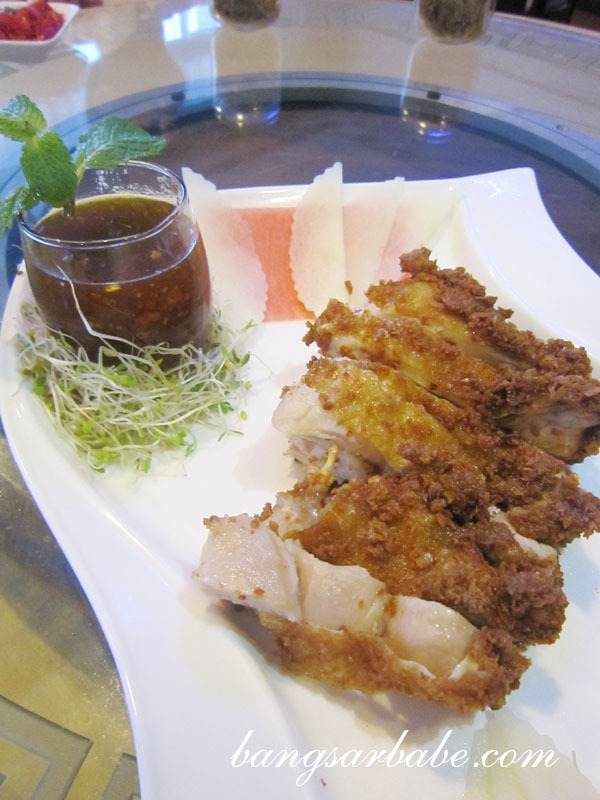 The chicken, fried till crispy perfection was moreish but it was the plum sauce that impressed. 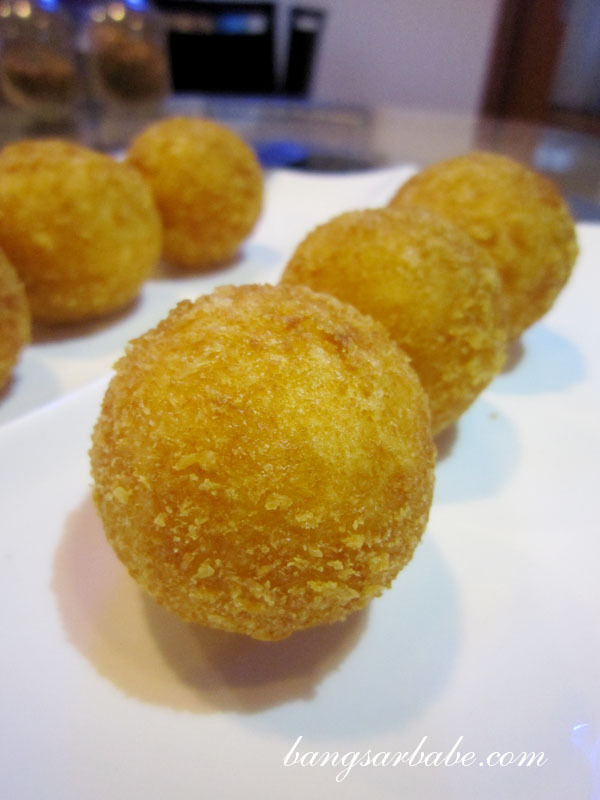 It was thick and robust in flavour – spicy, tangy, sweet and savoury. Almost like a Nyonya assam sauce, but not quite as sweet. 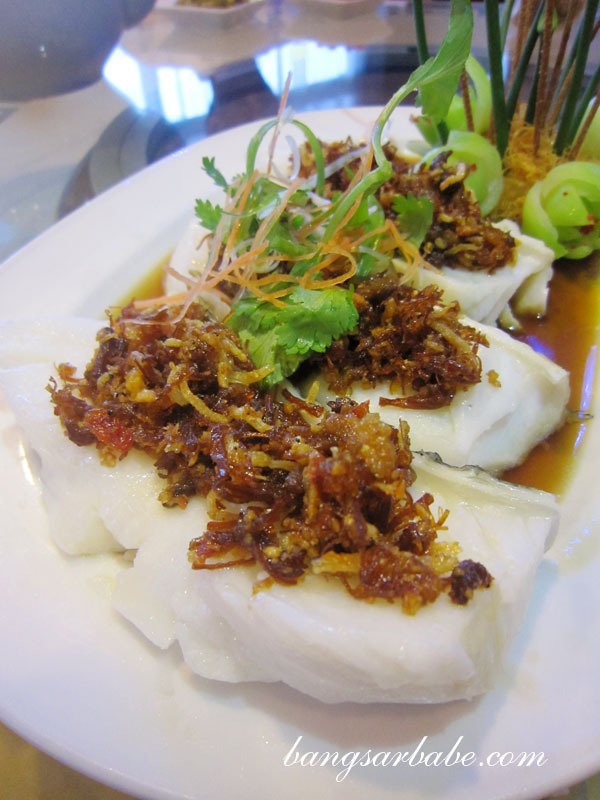 Also tasty was the Steamed Cod Fish with X.O Sambal (RM25 ++per person) although I had my doubts at first. Delicate cod fish and X.O sambal?! 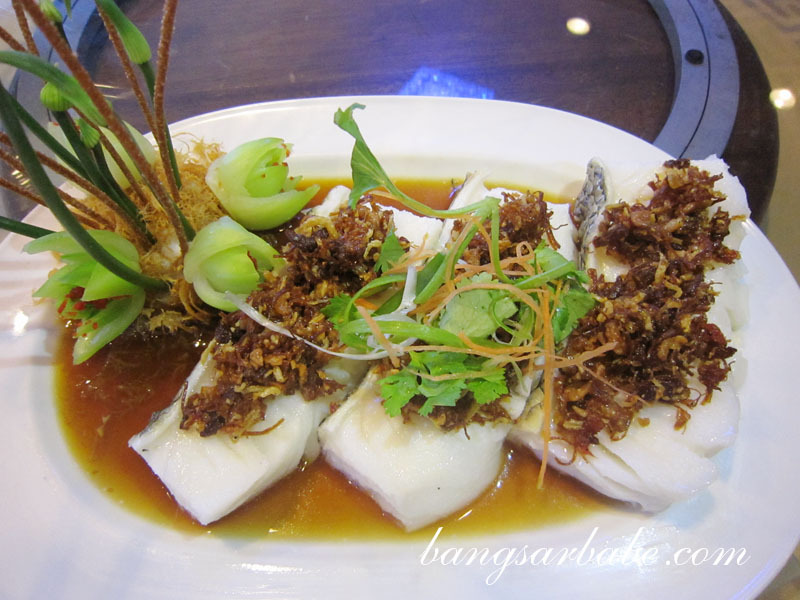 The outcome confirmed that Chef Francis Lau knew exactly what he was doing – smooth, flaky cod flavoured by the mildly piquant sambal. Apparently, the sambal was toned down to avoid overpowering the cod. 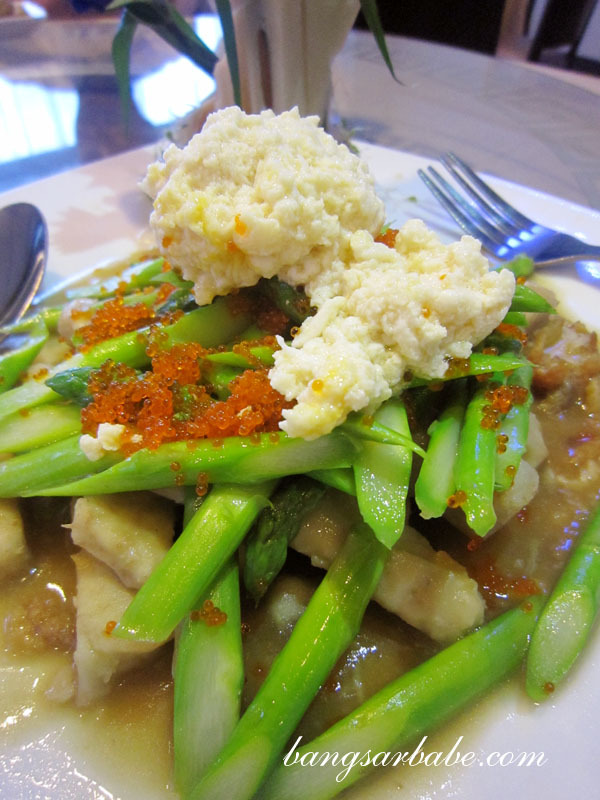 I rather enjoyed the Stir Fried Asparagus on Braised Yam with Scrambled Ginger Egg White (RM6 ++ per person). 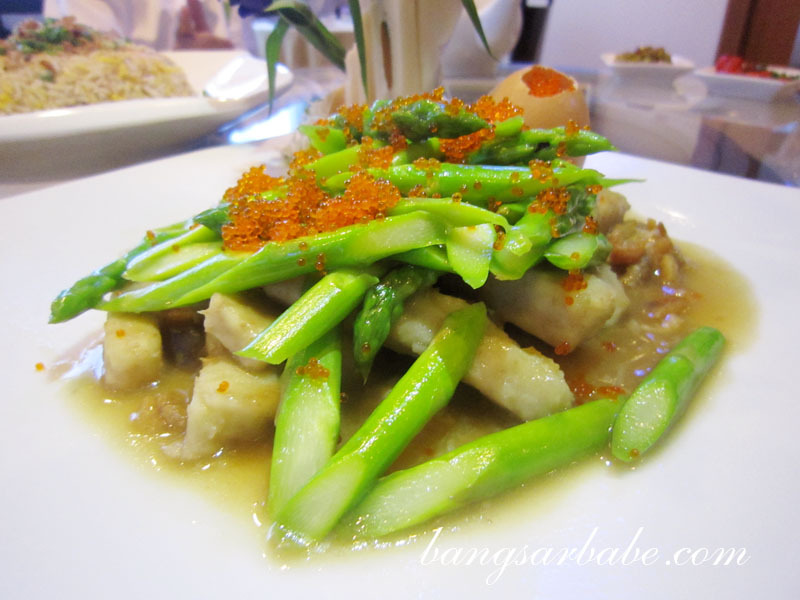 The yam slices were firm on the outside but fluffy at the centre, while the asparagus were justly cooked resulting in their slightly crunchy texture. The scrambled ginger egg white and fish roe added a touch of richness to this otherwise simple vegetable dish. 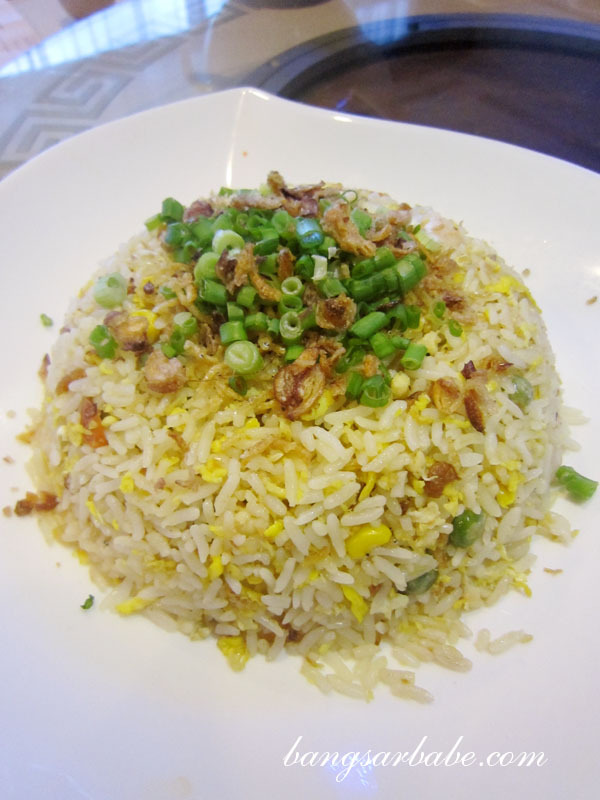 I usually don’t care for fried rice, but the Golden Sand Fried Rice (RM 5 ++ per person) was too good to pass up. Studded with tiny anchovies, chopped French beans, fried shallots and egg, the rice had a good wok hei and wasn’t overly dry or wet. This was even tastier when eaten with some chilli padi and soy sauce. Dessert was the Chilled Mango and Sago with Blended Vanilla Ice Cream (RM5 ++ per person) and the Deep Fried Nian Gao Ball (RM3 ++ per piece). 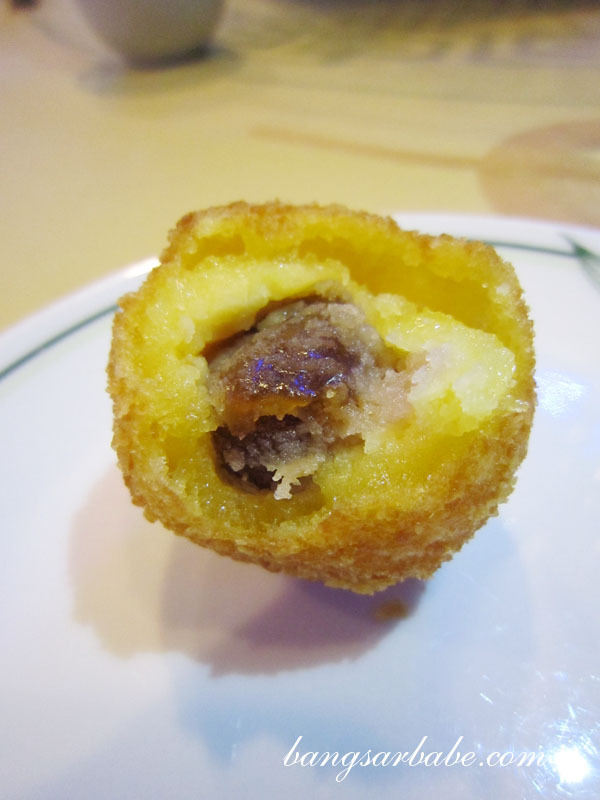 Between these two, I liked the latter better – the nian gau was gooey and thick, while the ball of pastry encasing it was crispy yet light. 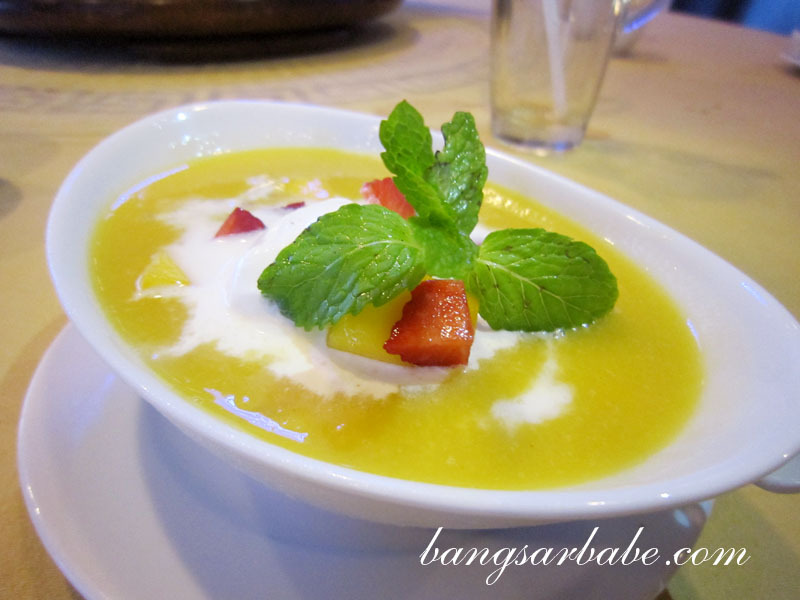 The chilled mango and sago was a good way to end lunch; not too sweet or too heavy. 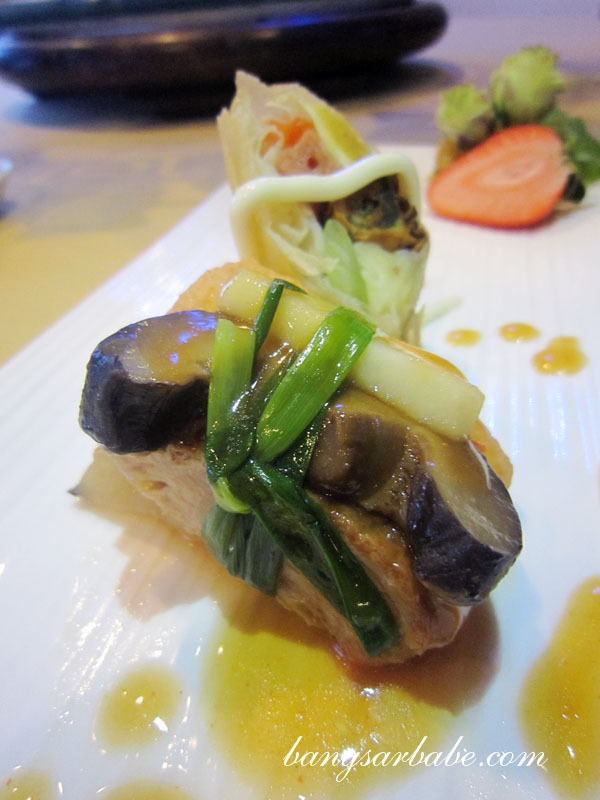 Verdict: Chinese food with creative touches and generous portions. I tried few times there…. Food kinda ok to me…. Just visited The Mix in Holiday Inn and was pleasantly surprised too! I didn’t realize there were viable eating options over there. What surprised me was the price, so affordable for hotel standard! Wow same as everyone else, am surprised by the price. Really reasonable for hotel. I thought they were joking when I saw the menu lol! BTW could you also let us Know what we could do more at the MIX so that you could fancy it more? Yeah..I too agreed that the price seems pretty reasonable for hotel rates. 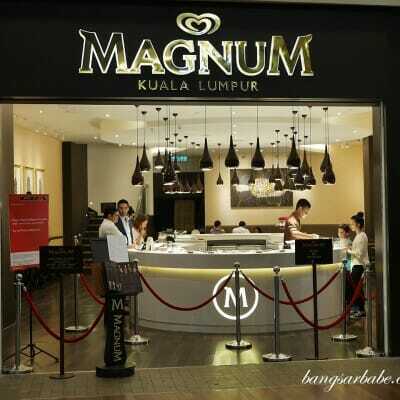 Compared to many Chinese restaurants in KL.